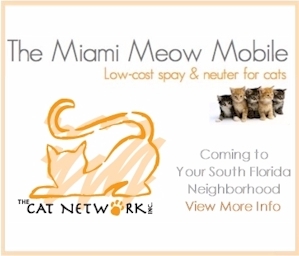 The Cat Network along with the Clydey Foundation and the City of Miami Beach are joining forces to conquer the stray cat problem on Miami Beach. 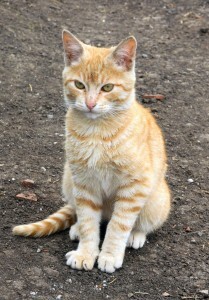 We want to sterilize 3000 cats in one year by having Spay Days every month. Our kick-off event, celebrating World Rabies Day, takes place at Flamingo Park on South Beach and will include FREE sterilizations and FREE rabies vaccinations for all street cats. Pet cats will also be accepted but there will be a nominal fee for the surgery with a FREE rabies vaccination. Pfizer has generously donated all the rabies vaccines. The Spay Day will be preceded by two days of intensive trapping of up to 80 cats. We are looking for volunteer trappers. Please contact us if you are interested in volunteering. More details coming soon. Follow us on Twitter and like us on Facebook to be in the know!